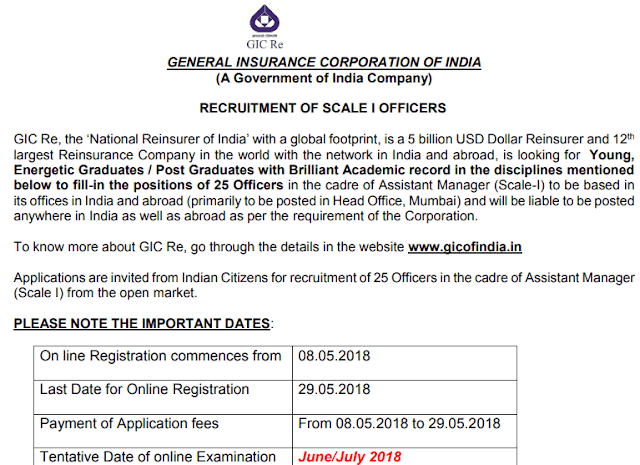 GIC released a recruitment notification for scale 1 officers, get details and apply. General Insurance Corporation of India released a recruitment notification for the recruitment of Scale 1 officer post. Interested and Eligible candidate can apply through official website of GIC or a direct link given in this article.